The kitchiest, campiest TV game show in history returns in all of it’s BLANKING glory! 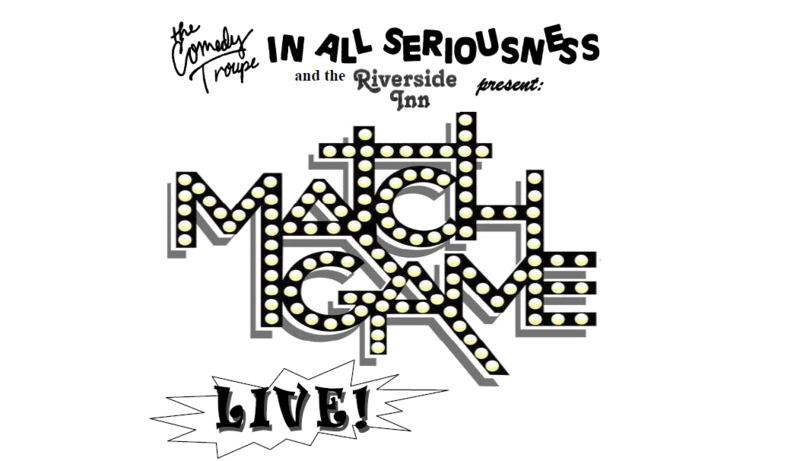 Join In All Seriousness as we re-create, live on stage, one of the most legendary game shows of all time; complete with groovy set and a host who is the MOST! Plus, we pick contestants right from the audience to compete for CASH and PRIZES by matching our celebrity panel in a game of logic, wit and wordplay. This audience participation game is way more fun than a 1970’s re-run and you’re guaranteed to laugh your BLANK off! "In All Seriousness's comedy is so fresh and funny - yet it still keeps the feel of the classic format. It'll be added to our regular rotation for years to come! "Twice now, I have come to you at the last minute, wondering how in the heck I was going to pull together an evening of fun and entertainment of a high-enough caliber for our corporate team. And twice you have bailed me out with incredible shows!"